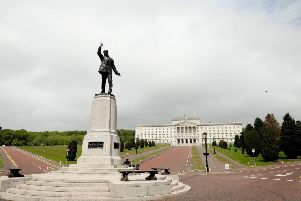 Former Downing Street press officer for European matters, Matthew O'Toole, has quipped that the biggest Hallowe'en festival in Europe takes place in Derry on the new deadline for the United Kingdom leaving the European Union. "I'm only retweeting this so it's clear: the biggest Halloween party in Europe takes place in Derry, a few miles from the Irish border. Best to book now," he said, tweeting a link to the city's landmark Hallowe'en programme. Mr. O'Toole was, of course, reacting to the European Council's decision last night to push the UK's Article 50 extension out to October 31.